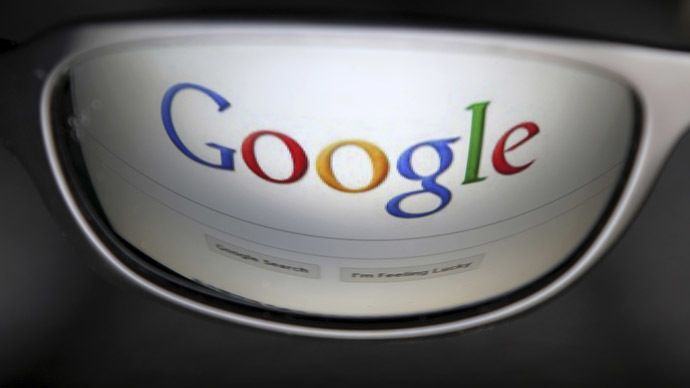 After a five-year antitrust investigation the European Commission is to launch a new probe into Google in the next few weeks over concerns the company was using its web search monopoly unfairly to hurt competitors, according to media reports. The European Union’s top antitrust authority had asked companies that have complained in the past about unfair competition from Google, for permission to publish some confidential information, the Wall Street Journal reported on Wednesday. The move was regarded by antitrust experts as a strong indication that formal antitrust charges are being prepared. Search services such as comparison shopping sites, travel search engines and sites for finding local services are among those who complained. They claim Google has too much control over how Europeans access information over the internet. Europe’s antitrust officials have resumed the much-delayed investigation as they assume that the search engine used its dominant position to give preferential treatment to its own services. Google controls almost 90 percent of Web searches in Europe which is much higher than its share of the US search market. The Commission has been also investigating whether Google has been “scraping” content from rivals’ sites, and unfairly restricting advertisers and software developers who do business with the search giant. Last month, the US Federal Trade Commission (FTC) bureau of competition found that Google skewed search results to favor its own services and products while demoting rivals. The FTC’s investigation showed that Google could “automatically boost” the search rankings of its own services, such as local listings, shopping and travel over rivals. Meanwhile, the EU regulator already had an antitrust track record that started a decade ago, against Microsoft Corporation. The company had paid $1.8 billion in fines through 2012. If the Commission finds against Google, it can fine it up to 10 percent of its annual revenue which totaled $66 billion last year and can also place restrictions on the company’s operations in Europe. A settlement in Google’s case is always possible even if the EU presses ahead with charges, WSJ said, adding that Google could still strike a deal to resolve the bloc’s concerns. The EU’s investigation started in 2010 but then has stalled three times while Europe’s former antitrust chief Joaquin Almunia was trying to reach an agreement with Google. He was widely criticized then by some European politicians for the terms that would have allowed the search giant to continue many of its current practices. The new antitrust chief Margrethe Vestager, who took over late last year, showed that she preferred the legal certainty of formal charges in competition cases over negotiated settlements. The EU had also pressed Google over a change in the way it handles private data as it doubted that it was legal the American company streamlined user data among its different services.